The Auditorium Fondazione Cariplo in Milan hosted an exhibition dedicated to the excellence of Italian and Cremonese violin-making. The new book in the “Mestieri d’Arte” series was presented at the Triennale Design Museum in Milan. Dedicated to car designing, “Fare l'automobile” is published by Marsilio Editori and curated by the Cologni Foundation for the Métiers d’Art. 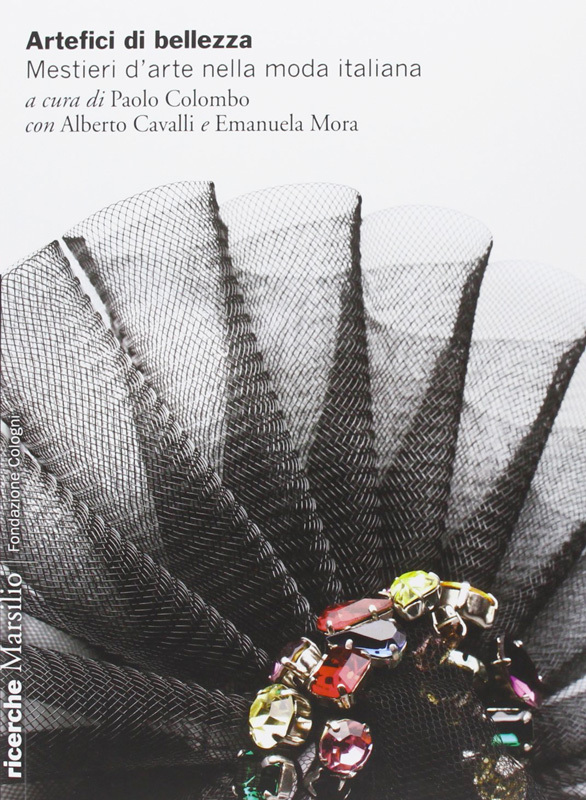 The Cologni Foundation for the Métiers d’Art and the Camera Nazionale della Moda Italiana presented the new book in the “Ricerche” series dedicated to artistic crafts in fashion. A beautiful villa in the centre of Milan owned by FAI–Fondo Ambiente Italiano hosts “Manualmente”, a cycle of events dedicated to the skill of the hands. This year’s exhibition was dedicated to ceramics. The new book in the “Mestieri d’Arte” series was presented at the National Car Museum in Turin. 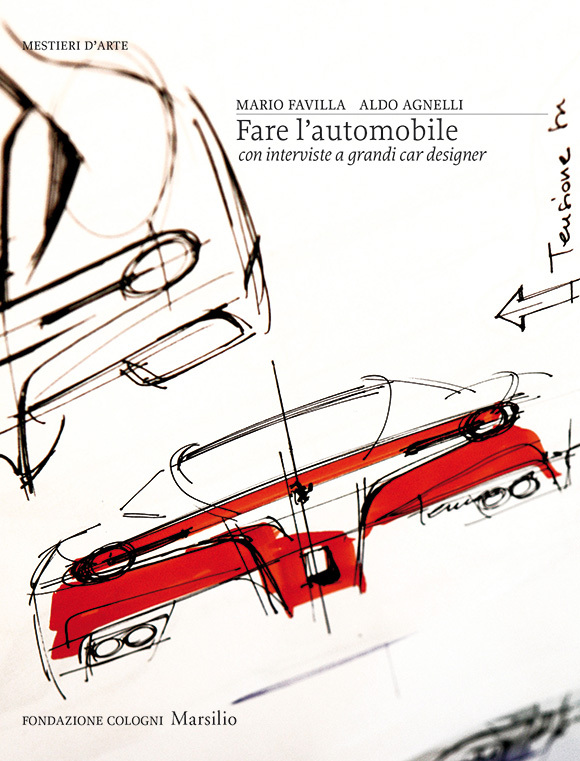 Dedicated to car designing, “Fare l'automobile” is published by Marsilio Editore and curated by the Cologni Foundation for the Métiers d’Art. A new guide highlighting the best of Milanese savoir-fare was presented at the Four Seasons Hotel. The concert of the laVERDI Junior Symphony Orchestra contributed to supporting “Paintings against hate”, a project dedicated to the children of Sri Lanka. A festival of sacred music organised by the NOEMA Association with a programme that spans from Early to Renaissance Music. The Cologni Foundation for the Métiers d'Art presented the 2013 edition of the European Artistic Crafts Days: a programme of exhibitions and events held in Milan under the High Patronage of the President of the Italian Republic. Van Cleef & Arpels, in collaboration with the Cologni Foundation for the Métiers d’Art, invited the 19 students on the Master of Arts in Design at the Creative Academy in Milan to reinterpret the Maison’s iconic themes. The exhibition was presented by the Fondation de la Haute Horlogerie during the Salon International de la Haute Horlogerie in Geneva. This research explores the history of Italian fashion from the unusual perspective of tailors, model makers, embroiderers, weavers, dyers, lace makers and other master craftspeople whose dedication contributes to the creation of quintessential Italian quality and style. 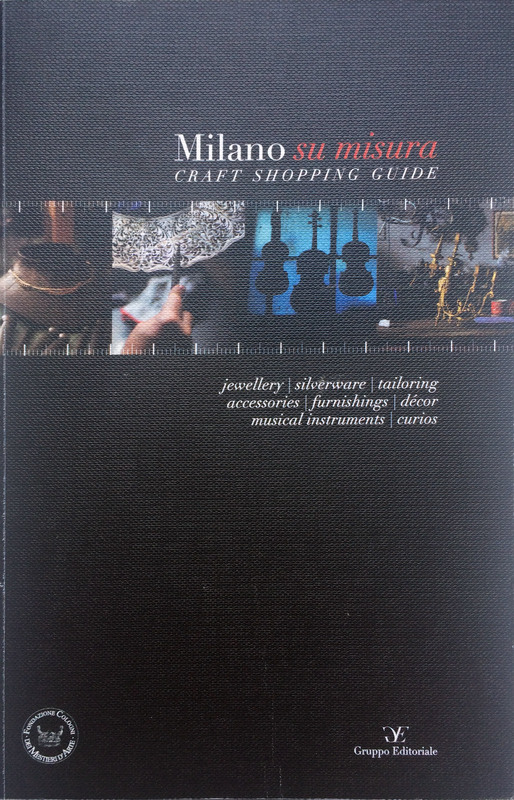 A special guide to 70 workshops in Milan, dedicated to those who wish to discover a precious and unique heritage of know-how. Car designing combines high technology and extraordinary craftsmanship, both of which are essential features of every automobile design centre.